What in the world could Lucy, Ethel, Fred and Ricky tells us about how to achieve sustained weight loss (or about sustainability, for that matter)? It turns out that this dynamic foursome had a secret sauce. It was team power. Big Food wants you to believe that eating/drinking smaller portions will result in weight loss. The first of this two-article series outlined the four ways eating Big Food's "smaller portions" still adds weight. It lists three best practices for avoiding Big Food and weight gain. This article focuses on the research around how people working together can achieve sustained weight loss. Shape Up Rhode Island conducted one such research study to determine the impacts social activity and team support have on individual weight loss success. This research found that people attempting to lose weight in a social or team environment achieved about 10 percent more weight loss. The bottom line is that weight loss success is a team sport! 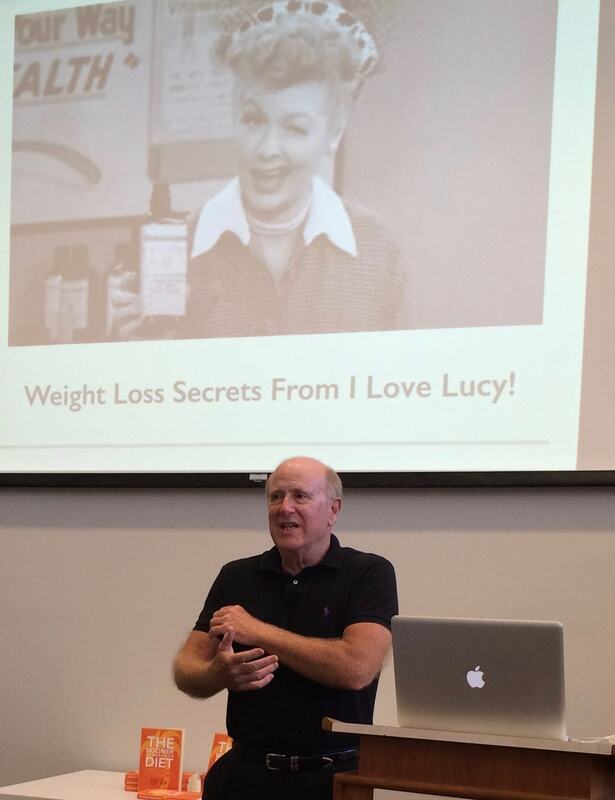 The "I Love Lucy" weight-loss secret is in how to build a successful team. It begins with having an understanding of your own strengths and weaknesses. Are you a Lucy or a Fred? How about an Ethel or a Ricky? Once you sense who you are, then you know what type of strengths you should look for in terms of your team members. For example, if you are a creative emotional "Lucy," then it would be great fun, but probably disastrous in terms of weight loss, to add another Lucy. Having an Ethel and a Ricky would be more helpful. Having a Fred might give you analytical insights, but he or she would also probably stress you out. And remember, stress adds weight. The companion question is: Where to find your teammates? With social media, there are so many options. Search the online meet-ups for weight-loss groups. Attend these to find potential friends where you can compliment their efforts while they compliment yours. Network through your church or social organizations. Our country is in a national weight crisis. You (we) are not alone in this. I am continuously surprised at how engaged people become when I bring up a weight-loss topic. A lot of people just like you and me are concerned, are searching for insights, and would enjoy positive collaboration. Get out there and start making connections with an eye out for potential teammates. Finally, there are professional organizations like Weight Watchers. My research suggests that many of these companies' approaches on food selection and weight measurement are not best practices for sustained weight loss. But their use of teams and a professional coach do align with my research on proven best practices for sustained weight loss. You can't buy sustained success. You can buy results. You cannot buy sustained results unless you plan to keep paying, and paying and paying. The goal is not weight loss. The real goal is lifestyle change. You can't trick people to succeed. Game theory is great. People will respond to contests, games and fun. But what happens when the contest is over is the key issue. Most of the time the contest ends and weight is added. Teams sustain individual success. The Hawthorne Study was done to access the optimum amount of light for enhancing work associate productivity. The study found that it was not light levels, but people observing people, that improved productivity. That is the power of a team. It is people looking for, enabling and supporting each other. That can be sustaining. It will produce sustained weight loss. Research points to weight-loss success being a team sport. Individual weight loss is really hard. Create or join a team that can enable success. Seek professional support. Explore using the weight-loss secrets from "I Love Lucy." I did and I lost 30 pounds while still enjoying chocolate chip cookies and living more+!